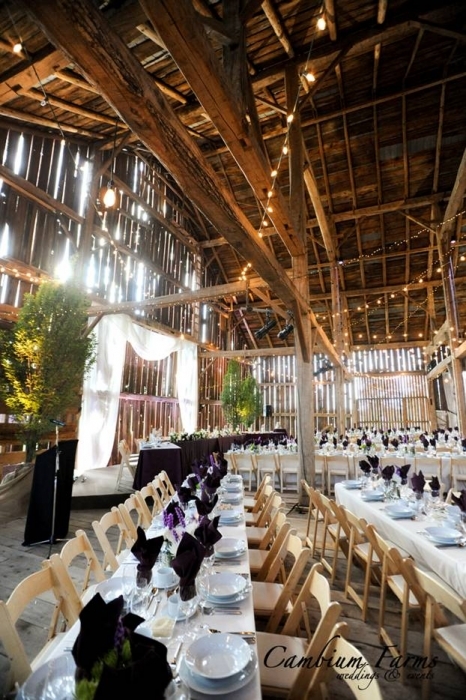 Exposed beams, a vintage farmhouse and 50 acres of breathtaking rustic fields? Yes please! At Cambium Farms, these features and many more will make your wedding a magical and memorable event. 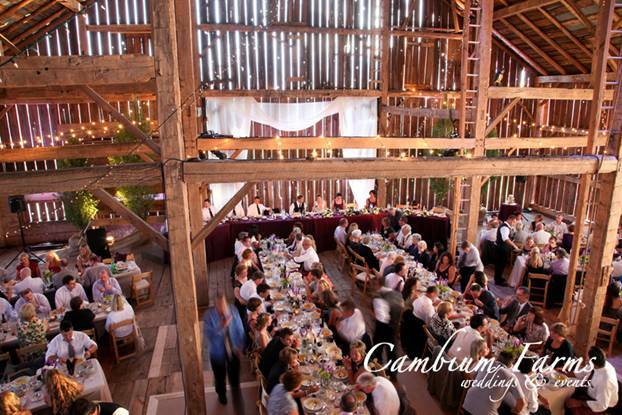 Cambium Farms, which is located about an hour from Toronto in Caledon, Ontario, offers several venue options to choose from – each with its own superb details and rustic flavor. The Barn is a stunning feat of architecture, with exposed beams that make for heart stopping photos. The Barn has been painstakingly cared for, and now features a country style bar, a lounge area and a DJ booth, so that the rustic bride can still embrace modern wedding entertainment and trends. The Carriage House is a great option for more intimate weddings, featuring a cozy mood and breathtaking landscaping that will have your guests enthralled. The Carriage House even features a bar of its own, so this space can be perfect for a cocktail hour as well. For brides getting married at Cambium Farms, The Farmhouse is available to use for wedding party preparations. The house was originally built in the 1800s, and has been immaculately kept since then. Nothing sets the mood for a rustic wedding quite like snagging those getting-ready photos in a truly historic location!